Men often make small mistakes in their skin care regimen (us females do too!) that can result in everything from dry, itchy skin to acne breakouts. But the types of skin care mistakes that men make are different from the skin care mistakes that women make. Why’s that then? Well, guys have an extra obstacle in skin care that women don’t. They have to deal with the oil and dirt trapped by facial hair or they have to deal with the daily irritation of shaving. Either way, a few simple mistakes can be the difference between great looking skin and average looking skin for the male of the species. Here are three common skin care mistakes guys make that both guys and gals should avoid. Guys can wash their face a lot – in the morning, in the evening, at the gym, after playing sports etc. Every time you wash your face, with or without a cleanser, you strip oil from your skin and risk drying it out too much. While a quick facial wash can be refreshing, the end result on your skin can be dry skin, flaking and irritation; no thanks! We recommend using a skin-friendly facial wipe instead of a full face wash or simply being careful and aware of how often you wash your face during the day. If you do wash your face frequently, be sure to use an oil-free moisturiser after cleansing to restore hydration and avoid dry skin. If you are washing your face on top of dry skin and experiencing redness and irritation, this gel cleanser moisturises and reduces discomfort on contact. This is one for men who shave regularly: irritation and dry skin cells on the surface of the skin can cause ingrown hairs that result in inflamed bumps and redness. But many men mistake these ingrown hairs and bumps for acne blemishes and treat them by drying them out with an acne spot treatment. But if you’re treating an ingrown hair as an acne blemish, drying the skin around it will only make the irritation worse and even redder! So how do you properly treat an ingrown hair? First, you want to avoid even getting ingrown hairs in the first place by properly hydrating before, during and after your shave so the razor glides across your skin, smoothly cutting your facial hair. Secondly, exfoliate dead dry skin cells from the surface of your skin by using a treatment product with Alpha Hydroxy Acids (AHAs). And most importantly, take a close look at your face and decide if what you’re treating is an acne blemish or an ingrown hair so that you don’t mistreat your skin concern. 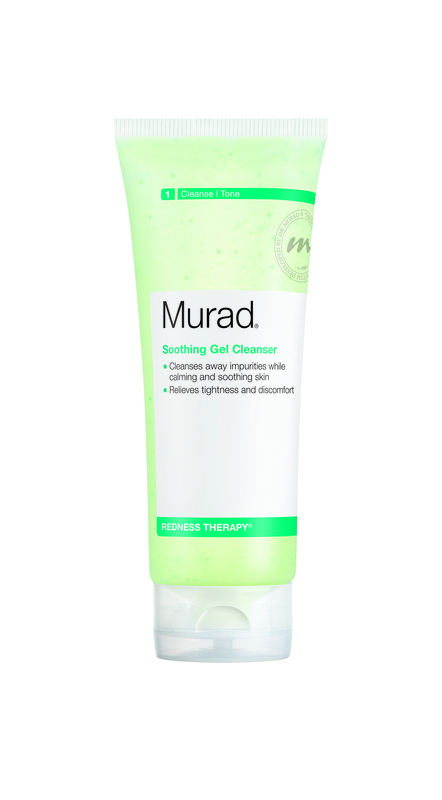 This after-shave treatment from Murad is designed with skin care in mind to reduce ingrown hairs and redness. Most men want to look great, but you also won’t see their medicine cabinet stocked with anti-ageing skin care products. In many ways, though, men’s skin operates exactly the same as women’s skin (with the exception of Hormonal Ageing). Men are just as susceptible to Genetic Ageing and, particularly, Environmental Ageing. Keeping your skin care routine simple and focused on the challenges of shaving is great, but if you want fantastic looking skin for years to come, it’s time to add an anti-ageing product or two to your regimen. Make it a goal to add just one anti-ageing product to your skin care routine. You’ll thank us later! Men’s skin care doesn’t have to be complicated! Take a look at Murad’s simple three-step regimen for men, Murad Man®. This entry was posted in Topical and tagged anti-ageing, Blemish, ingrown hairs, male skincare, men, shaving by muraduk. Bookmark the permalink.